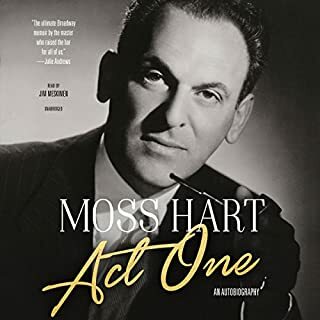 Moss Hart's Act One, which Lincoln Center Theater presented in 2014 as a play written and directed by James Lapine, is one of the greatest American memoirs - a glorious memorial to a bygone age filled with all the wonder, drama, and heartbreak that surrounded Broadway in the early 20th century. 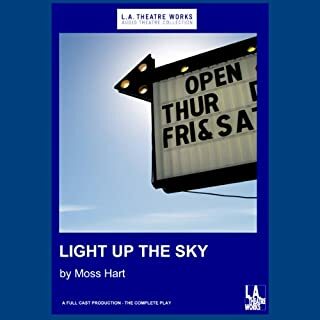 Light Up the Sky is a fast-paced, hilarious and ultimately loving look inside show business, set just before and immediately after a Broadway bound play meets its first audience. 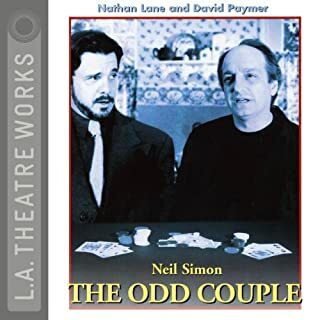 A full-cast performance featuring: Ian Barford, Patrick Clear, Shannon Cochran, Kyle Colerider-Krugh, Matt DeCaro, Kevin Gudahl, Deirdre Lovejoy, Mariann Mayberry, Phyllis Newman and Steve Pickering. So funny! I'm so glad I downloaded this. They stand at the apex of the great age of songwriting, the creators of the classic Broadway musicals Oklahoma!, Carousel, South Pacific, The King and I, and The Sound of Music, whose songs have never lost their popularity or emotional power. Even before they joined forces, Richard Rodgers and Oscar Hammerstein II had written dozens of Broadway shows, but together they pioneered a new art form: the serious musical play. Caedmon is proud to release this archival full-cast recording of Tennessee Williams's A Streetcar Named Desire. Blanche DuBois arrives at her sister Stella's New Orleans apartment seeking refuge from a troubled past but her ethereal spirit irks Stella's husband, the loutish Stanley Kowalski. Crudely, relentlessly, he unmasks the lies and delusions that sustain Blanche, until her frail hold on reality is shockingly severed. George S. Kaufman and Moss Hart’s riotous 1930 farce, Once in a Lifetime, concerns a trio of fading, and often bumbling, New York City vaudeville actors who suddenly find themselves behind the times with the advent of the motion picture industry. The team decides to head to California where the action is. There, things go wonderfully wrong and hilarity ensues. 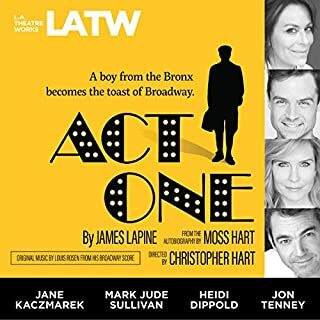 This dramatized performance in front of a live audience features the mighty Ed Asner of The Mary Tyler Moore Show fame, and veteran film and stage actors Jonathan Silverman and Caroline Aaron. 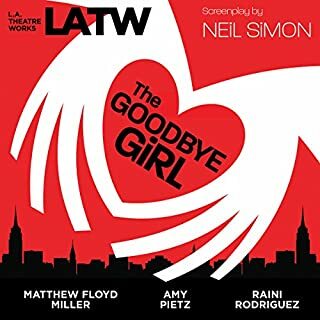 Starring Ed Asner and directed by Moss Hart’s son, this is top-of-the-bill screwball comedy and Kaufman and Hart genius at its very best. 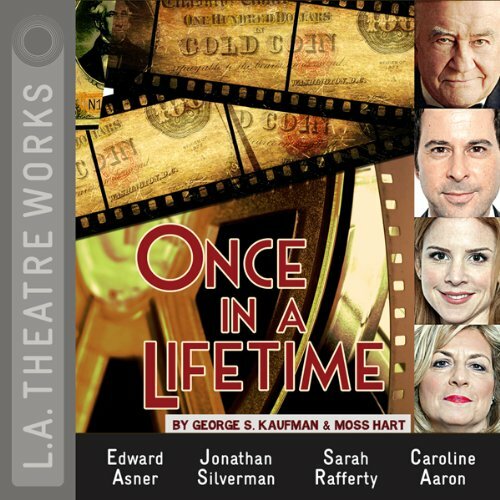 An L.A. Theatre Works full-cast performance featuring (in alphabetical order) Caroline Aaron as Helen Hobart/Miss Chasen; Edward Asner as Herman Glogauer; Jen Dede as Susan Walker; Jeanie Hackett as Mrs. Walker/Miss Leighton; David Kaufman as George Lewis; Katharine Leonard as Florabel Leigh/Bridesmaid #2; Joe Liss as The Porter/Ernest/Mr. Flick/Weisskopf/The Bishop; Kellie Matteson as Phyllis Fontaine/Bridesmaid #1; Jon Matthews as Rudolph Kammerling/Fontaine Chauffer/Leading Man; Sarah Rafferty as May Daniels; Jonathan Silverman as Jerry Hyland; Steve Vinovich as Lawrence Vail/Leigh Chauffer/ Meterstein. Directed by Christopher Hart. 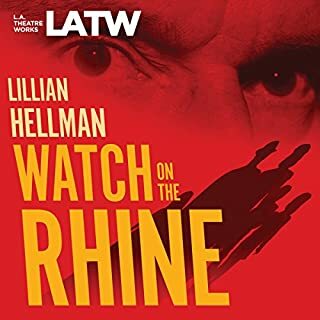 Recorded before a live audience at the Skirball Cultural Center, Los Angeles, in October 2009.